Description: After a lifetime of waiting, Charles ascends the throne. A future of power. But how to rule? Mike Bartlett’s ‘future history’ play won the 2015 Olivier Award for Best New Play. The production, directed by Rupert Goold, premiered at the Almeida Theatre before moving to the West End in a co-production with Sonia Friedman Productions and Stuart Thompson Productions. Due to rights restrictions, audio for this programme is available only within the UK. HAH – excellent fayre. 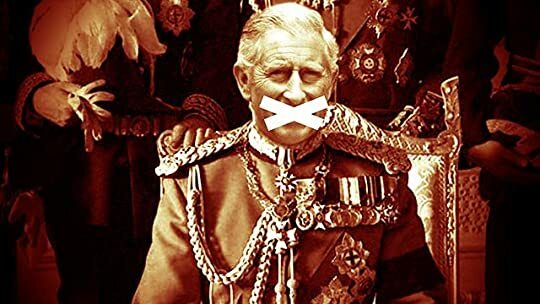 A play rendered as if an historical fiction, written in blank verse, starring the UK’s present royal family and I bet this ruffled more than just a few feathers. I love the soliloquies, the Diana ghost, the admonisions to KCIII to keep his mouth shut, AND what about Jocelyn Pook – count me as an instant fan! THE best west end show since Book of Mormon and Collaborators, yet I doubt if the Royal Box was used. As a mild piece of trivia, Elizabeth has only ~50 days or so left before she out queens Victoria as longest ruling monarch. Another trivia snippet, Book of Mormon has just become the first show to break the £200 barrier for a ticket – that is one fantastic show! Huzzah for free speech and artistic licence. Fully recommended. Description: Edward I is familiar to millions as “Longshanks”, conqueror of Scotland and nemesis of Sir William Wallace (in Braveheart). Yet this story forms only the final chapter of the king’s action-packed life. Earlier, Edward had defeated and killed the famous Simon de Montfort, traveled to the Holy Land, and conquered Wales. He raised the greatest armies of the Middle Ages and summoned the largest parliaments. Notoriously, he expelled all the Jews from his kingdom. In this audiobook, Marc Morris examines afresh the forces that drove Edward throughout his relentless career: his character, his Christian faith, and his sense of England’s destiny – a sense shaped in particular by the tales of the legendary King Arthur. He also explores the competing reasons that led Edward’s opponents (including Robert Bruce) to resist him. Dr Marc Morris portrays the era accurately and in an engaging manner; Ralph Lister reads with energy. Recommended. 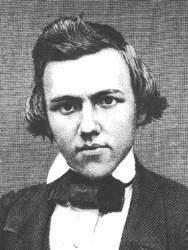 Description: Paul Morphy was the scion of two outstanding Creole families. His paternal grandfather, Diego Morphy, had been Spanish Consul, first in Charleston and then in New Orleans; his maternal grandfather, Joseph Le Carpentier, commonly called the “double-tongued,” was a successful French auctioneer. On the condition that Le Carpentier would build a house suitable for a superb bridal residence and that his daughter, the beautiful Telcide, should be provided with a fantastic dowry, Don Diego gave his consent to an alliance between her and his son Alonzo, a promising young lawyer destined to become a justice in the supreme court of Louisiana. 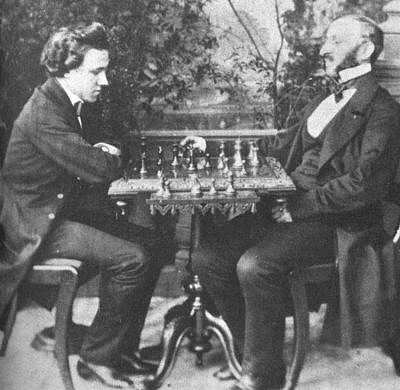 It was a step down, socially, for the Morphys, but Don Diego felt there were compensations, especially as he and Joseph Le Carpentier had long had a common bond in their love of chess: closer ties would facilitate more and more frequent games. …I yearn for some upbeat now. NEXT! Description: 31 December 2000 history teacher Peter ‘Mad Max’ Maxwell sits down to celebrate the Millennium, the proper one, of course. Shortly before 12 o’clock the doorbell rings, and he finds a dead woman on his doorstep. That’s the start of the sixth novel in M.J. Trow’s Maxwell series. The particulars of the case this time points to witchcraft. The background is well-researched, and, like the earlier novels in this series, Maxwell’s Curse is exciting and fun. The unlikely hero of an eccentric history teacher once again picks up the challenge and battles crime. This is the one with sabre-fencing, diary, and corn-doll. Just a straight three for this one, and a large hope that this is not the series going downhill. Funniest line was about a comb-forward Caesar would die for. ETA – the description was copy/paste from grramazon and it states that this is the sixth. According to the list this is the fifth. Description: The apparent serenity of parish life in Pendeen and Morvah is disturbed when 20-year-old Lenny Barnes takes his own life in the presence of Father Barnaby Thomas, the charismatic, indefatigable local priest, whose enduring service has made him a popular member of his Cornish community. Though Lenny′s death is publicly mourned, the tragedy continues to wound those closest to him, and its reverberations seem to threaten a fissure between the Parish and its inhabitants. And yet Lenny′s death is simply Pendeen and Morvah′s most visible misfortune: beneath the surface of the parish newsletter, in the life of Barnaby′s wife Dorothy, in that of his son Jim, in that of their neighbours Modest Carlsson and Nuala Barnes, and in particular in the life of Father Barnaby himself, lies vast, inarticulate sadness. In what is more an echo-chamber than a sequel, Patrick Gale returns us to the landscape of ′Notes from an Exhibition′, unfurling the complex web of a Cornish community with an empathy that touches clairvoyance and a sure eye for significant mundanity. ′Good People′ is the faithful register of a community′s fortunes, its gentle malignance, and one priest′s struggle to live virtuously. Opening: He had the heating on because immobility made him cold. The flat was recently built. Its windows and doors were all double-glazed but there was a keen easterly that found the chink in one of the seals around the picture window and set up a wail. The whole flat was keening. This was a pressie to myself for I jultid 2014 as it was about time to sample this author and Louise was egging me on. this lassoed me round about the Nuala incident and the hook caught, with line and sinker (mixed metaphors are so much fun!). According to the inside flap ‘Notes on an Exhibition’ should have been tackled first – oh well, that’s on the shelves somewhere and I now look forward to it. 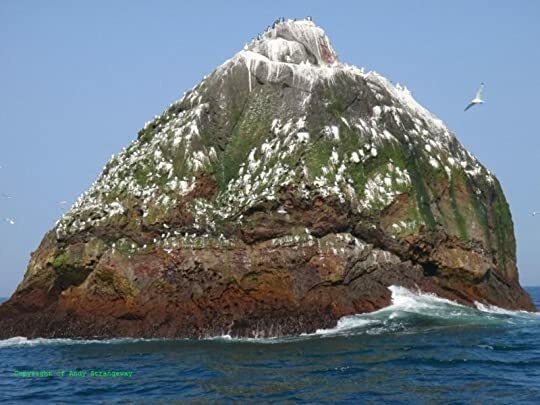 Description: The sole survivor of a torpedoed destroyer is miraculously cast up on a huge, barren rock in mid-Atlantic. Pitted against him are the sea, the sun, the night cold, and the terror of his isolation. At the core of this raging tale of physical and psychological violence lies Christopher Martin’s will to live as the sum total of his life. Opening: He was struggling in every direction, he was the centre of the writhing and kicking knot of his own body. There was no up or down, no light and no air. He felt his mouth open of itself and the shrieked word burst out. Ooo this was ambiguous and terrifying, and I think that image of man floating in a jam jar of water will regrettably stay with me for a while. So what is worse, to die quickly or to linger in illness, solitude and bouts of madness? Both existential scenarios are on display here and lots to ponder upon. Description: Val McDermid’s second “Dead” comedy crime drama. 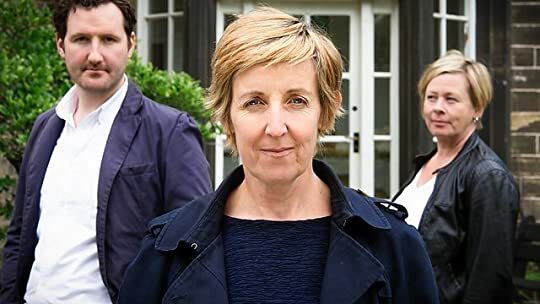 DCI Alma Blair (Julie Hesmondhalgh) and DS Jason Trotter investigate murder in the Geography Department of an unspecified Russell Group university in the North of England. Where academics rub shoulders and, indeed, other parts of the body with students and administrators. A place where the students think they know everything, the academics know they know everything and the secretaries actually know everything. Alma has worked her way up the ranks from making the tea for the families of murder victims to ordering Jason to make the tea. She knows she knows best. Jason should know better. In Episode 1, Jason thinks that a professor who is wearing some of his brains on the outside of his head might just be his chance to put Alma in her place. 2: DCI Alma Blair has no shortage of suspects willing to share their motives. 3: DS Jason Trotter plays detective with Alma’s love life. 4: Alma’s private life is about to be outed, and a forensic clue leads to danger. 5: With a man down, the team closes ranks to solve the murder.